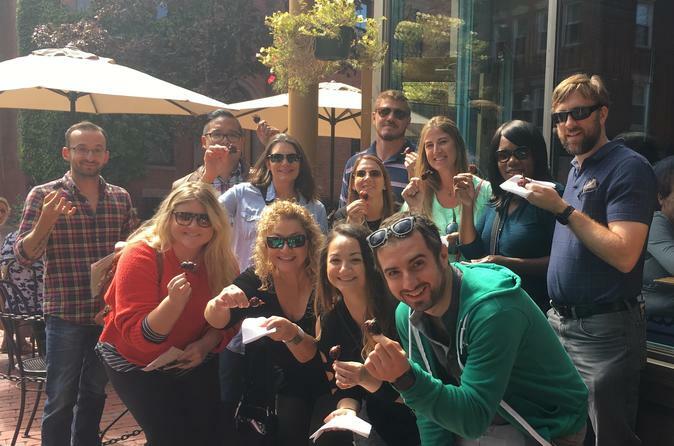 At Bites of Boston Food Tours, we believe local food is best enjoyed when served in the context of your local surroundings, so with our neighborhood food experiences, we aim to do just that. Our tour experiences are carefully curated to give you a 'taste" of Boston's neighborhoods, both literally and figuratively! By combining local culture and stories with food favorites from beloved neighborhood eateries, our tours will have you eating, exploring and experiencing the city in a memorable, one-of-a-kind way. Home to the most eclectic food scene in the city, with restaurants representing cuisines from all over the world, there is no shortage of delicious eats in the South End! From French-Cambodian fare to Venezuelan appetizers and locally famous sweets, we'll make sure you experience both the sweet and savory specialities this neighborhood has to offer! But wait, there's more! Our neighborhood food experiences focus not only on the local food scene, but also what makes each neighborhood unique and special. In between visits to restaurants, bakeries and markets for tastings, we'll guide you through the streets of the South End, stopping at points of historical, cultural and architectural interest along the way. We'll start our historical story with the amazing landfilling project that first gave way to the South End, and continue through the ups and downs the area has experienced over the years since. You'll stroll less traveled streets and learn about a part of Boston that is still considered a hidden gem of a neighborhood. See you in the South End!